AFC Bournemouth manager Eddie Howe felt that his side were too passive against a strong Liverpool side at Anfield. Sadio Mane struck after seven minutes before further goals from Mo Salah and Roberto Firmino ensured three points for the Reds. Howe felt his side didn’t do enough collectively but praised Steve Cook and Nathan Ake for their contributions on Merseyside. Full credit to Liverpool, they’ve grown as a team and they’ve showed that throughout the season. They’re a tough team to play at the moment, we struggled to live with their pace, energy and intensity. We rode our luck at times and were pleased it was 1-0 at half time. The second half we improved greatly and were well in the game – we created chances to make the game interesting. We were passive in the first period and too deep in our defensive line – their front three are outstanding players and we found it a challenge to keep them at bay. 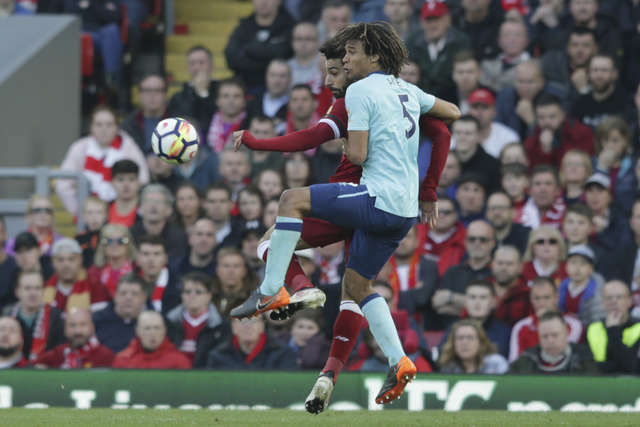 Nathan Ake and Steve Cook had a really good mentality and attitude against strong opposition. In tough situations against very, very good players they did well in their one v one duels. Nathan can consider himself really unlucky to be on the end of that scoreline, both players did well. We’ve come up against a team that without doubt can win the Champions League, but these games are always valuable for our learning as a team. Only in the latter stages did we come into the game with the ball. Everything is to play for as I’ve said all along, we’re in a relegation battle until we’re safe. The players are aware and there will be no let up from our side with a massive game coming up.